A common backcountry tool, bear spray is made to deter a charging bear. We spoke with an expert for advice on how to buy it and when (and how) to use spray in real-world situations. Seeing the monstrous Ursus arctos in situ is a truly awesome experience. 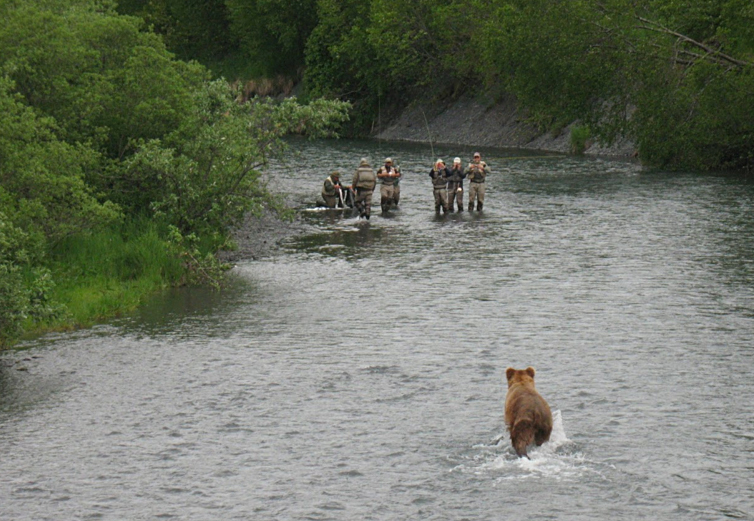 You don’t know whether to reach for the camera or the bear spray… or both. But self preservation is a funny thing, and so is the trust you instill in a can holstered to your belt. We reached out to bear spray expert Chuck Bartlebough at The Center for Wildlife Information, where we got schooled on bear deterrent. Here are a few things you should know. A good spray is a combination of an atomized propellant, a well engineered nozzle, and a quality can. Sacrifice one of these facets and the spray quality is decreased. Repellants claiming to be hotter pepper sprays (or containing more capsaicin) may in fact be thicker and less capable of producing an effective protective cloud, Bartlebough said. There are lots of proprietary sprays available, all claiming to be a bear deterrent. But unless it’s regulated by the Environmental Protection Agency (in the United States), you can’t be sure the contents are effective or if they have even been tested. Seek out sprays with 1% to 2% capsaicin and related capsaicinoids. Note: If you’re shopping for bear spray online, be extra sure that it’s EPA-Registered. In brick and mortar stores, like REI’s or hunting/fishing shops, it’s near impossible to find non-EPA bear sprays for sale, so you should be good to go. A charging bear (or bears; yes, multiple charging bears) presents a lot of variables. Wind, distance, velocity… a four-second spray might provide enough coverage. But a five-second spray allows you to empty the can’s contents effectively and quickly, especially important when a bear is charging. In heavy bear country, Bartlebough always brings two cans. Below 40˚F, bear spray can have a reduced spray distance and some may not work at all. Don’t store your spray over night in the truck or outside in a pack. Keep it inside and warm. If you are hiking during the cooler shoulder seasons, carry the spray under your jacket to keep it from getting too cold. Deploying an effective spray requires a bit of patience and timing. A good bear spray will propel 25 to 30 feet out from the can. Other options, like SABRE’s Frontiersman spray (pictured above), propel 35 feet and provide even greater range and protection. Say the bear is standing 60 feet away, not charging but eying you out… snorting, pacing. Spray early, and you risk the cloud dispersing before the bear charges. You’ll need to wait for the charge. Back away, don’t run. Deploy short bursts toward the bear. The sound of the spray and the sight of the red pepper cloud may be enough to encourage the bear to back down. So, it’s go time. A threatening bear drops its nose and is charging in fast. If the bear is 60 feet out, it’s time to deploy. Since a bear can run upward of 30 miles per hour, it will run into the cloud of pepper spray and meet the spray 20-30 feet out from you. Press the trigger and aim at the face and eyes of the bear. Stop and adjust your aim if the conditions warrant. The idea is to create a protective cloud that the bear runs into. If the bear starts to charge inside the 30 foot zone, aim directly at the bear’s face until it breaks off the charge. It might take a second for the bear to feel the effects of the spray, so don’t expect the bear to break immediately. The unlucky backcountry traveler spooks a bear inside 15 feet, or a bear might be snooping inside your tent. This is ground zero. Expect the charging bear to have enough momentum to knock you down. No surprises here; spray directly at the bear’s face. Research has shown that spray used in close proximity can reduce the length and severity of a bear attack. Traveling into bear country this summer? Have fun and enjoy the mountains. If you are lucky, you might witness these magnificent animals at home in the wild. But be sure to carry a can or two of bear spray, as it could save your life when being awestruck suddenly turns into being in danger. –This article is brought to you by SABRE, makers of Frontiersman Bear Spray. Learn more about SABRE products online.